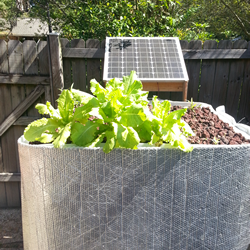 When it comes to natural organic gardening, nothing beats Aquaponics. It is a unique full cycle growing system which utilizes the normal life cycle of both plants and fishes, capitalizing on the natural advantages of both. If you’re wondering what Aquaponics is and how can it work for your garden food production, then read on. With Aquaponics, you don’t need to till large areas of ground or depend on engineered fertilizers packed with chemicals, just to grow your plants and produce large yields. This more natural organic method for gardening is reasonable to maintain, is compact and will help keep our environment cleaner, by reducing the overuse of chemical pesticides and fertilizers. With the advancement of cultivating technology today, you may have experienced “Aquaponics” without even know it. So what is Aquaponics? It is a hybrid term used to describe the combination of hydroponics; where plants grow without soil in a liquid that has nutrients added and aquaculture which is the production and growing of fish. It implies that the two methods can complement each other naturally as they grow together in the same compact system of tanks and grow beds. It is a sort of environment where plants utilize the waste of fish as a way to live and survive and the plants act as a filter for the fish waste. Aquaculture is raising freshwater fish that the rancher harvests to eat or for money. In this closed water system, the agriculturist must sustain the fish by keeping the water clean with expensive filters and aeration techniques. If the water is not perfect, the fish can get to be wiped out and pass on because of the abnormal buildup of waste materials, alkali and/or different toxins that can build up in the water. 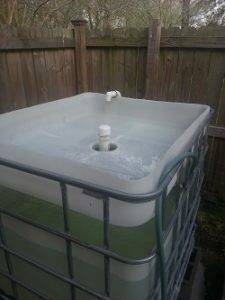 The rancher must join a filtration system to evacuate the water, clean the water and after filtering the water is recirculated into the fish tank, this can be an expensive and time consuming solution. Similarly, in a Hydroponic system, the plants will need to have constant flow of nutrient rich water flowing over their roots, since there is no soil for the plants to extract nutrients in this type of growing system. This calls for the introduction of expensive fertilizers and constant attention to maintain optimum plant growth. By consolidating hydroponics and aquaculture systems into Aquaponics, there are numerous potential advantages, by growing a full range of foods with the added bonus of producing protein rich fish to consume and by growing a full range of vegetables and fruits in a compact area this method of food production is superior by many standards. What are an Aquaponic System Benefits? The plants get rich, live and regular supplements from the fish. The fish are more satisfied and more beneficial in light of the fact that their water is always separated. you get 100% natural food nourishment. The Aquaponic procedure is straightforward: the fish by their waste products give supplements to the plants. The plants, then again act like a channel and give cleaned water to the fishes, producing incredible conditions for them to grow. The main thing you have to do is to deal with your fish, recall to sustain them and ensure their water is constantly oxygenated accurately. If you do as such, your plants will grow with no need of whatever other sort of consideration, that is the reason this methodology is nearly in autopilot! So How does Aquaponics Work? The plants: The water from the fish tank is pumped by a small electric pump to the grow beds which can be adjacent or above the fish tank typically. Water is utilized principally to fill the grow media bed (typically small pebbles or rocks), which acts as the soil where plants and yields grow. Once the grow bed gradually and slowly fills, a bell syphon is used to automatically drain the grow bed emptying the water creating a continuous cycle where the plants roots are wet as the grow media bed fills and then the roots dry out when drained allowing the roots to breath, eliminating root rot that may occur if the roots were constantly immersed in water. Since fish waste, first broken down by beneficial bacteria, bacteria turning fish waste Nitrites into plant food Nitrates, growing in the grow bed media, becomes an abundance of useful nutrients for the plants and acts as nutritious compost for the full plant growth. The fish: Once the plants have filtered the water, the clean water from the grow beds will be released through the bell siphon by gravity into the fish tanks below typically. This eliminates the need for elaborate filtering techniques as in the Aquaculture system of fish farming. From there the fish benefit from the naturally cleaned water and the system can continue the cycle of pumping dirty fish water into the grow bed and having the plants clean the waste water which then returns to the fish tank. The only maintenance needed will be to feed the fish a rich fish food diet and watch them grow! As a food source it is worth noting that many different types of fish can be grow in this type of system, Tilapia, Trout, Catfish, etc. You will of course have to regulate the temperature should the species need a certain water temperature that is not naturally occurring in your region. Also, some cities have restriction regarding the type of fish that can be grown because they could escape captivity and introduce an invasive species, so make sure that you follow local regulation regarding raising fish. It is normally intended for terrace Aquaponics system where each individual can see it even from a remote place. It utilizes rocks or mud for waste and for cleaning purposes. The stones in the plant beds will in the direction of water flooding in the waste to guarantee that it streams consistently, and maintain a strategic distance from any blockage that may interfere with the capacity of the system. Notwithstanding, the mud in the plant beds encourages retains the water to keep the plant roots keep up its dampness without being soaked up. This sort of Aquaponics is regularly utilized for plants like lettuce that prefer their roots remaining wet for a longer period of time. The system utilizes a floating pontoon which is comprised of Styrofoam or a floating board with openings for the pots that permits the plants to sit solidly, empowering the roots to retain water. In all likelihood, you will grow fish for sustenance and whatever the fish interact with you will likewise be eating, so if the holding tank should be either new and having no previous chemicals or foreign agents inside or if used it should be of a ‘food grade’ source that can be ingested. Of course you will wan to to clean all of the receptacles thoroughly before using them in your Aquaponic system. It is best to start small with your system, try it out, grow a few plants and some inexpensive fish to start testing how it works then move to a larger system that will produce larger plants and vegetables. Move from inexpensive fish like goldfish, then in a larger system invest in fish that you can eat. With a larger system you will have lasting organic protein.